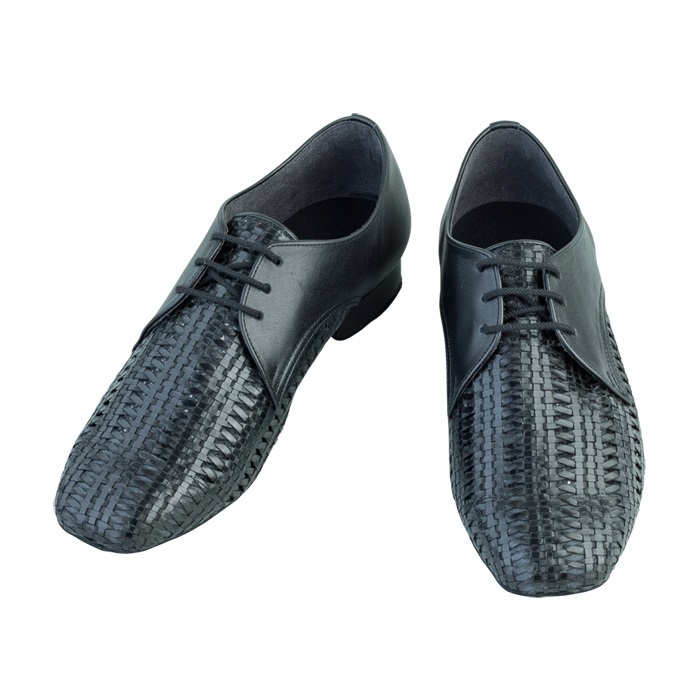 We have good selection of shoes specially created for people who want to use leather shoes for ordinary lessons rather than enamel shoes. These shoes breathe well, and this function helps your feet not to become tired from heat and dampness. You can place a special order by selecting wooden pattern and material. Wide size is recommended for those who have thick and wide feet. Mesh helps shoes to breathe and brings high-class look. *The height of the heel is showing respect to the 25cm. In order to keep the angle from the toe to the heel, the heel height varies according to the shoe size. You can find the features of our shoes by looking at the soles. The picture below shows the sole of standard shoes for women. The size of these shoes is 25cm. Different shoes use different wooden pattern, so the shapes of the toe vary. In addition, the shape of the sole is deeply related to the properties of dance shoes, so please choose the right shoes for your feet.